Event Details displays the full details of events in Automation Workshop and provides a quick link to knowledge base chapter with comprehensive relevant information. 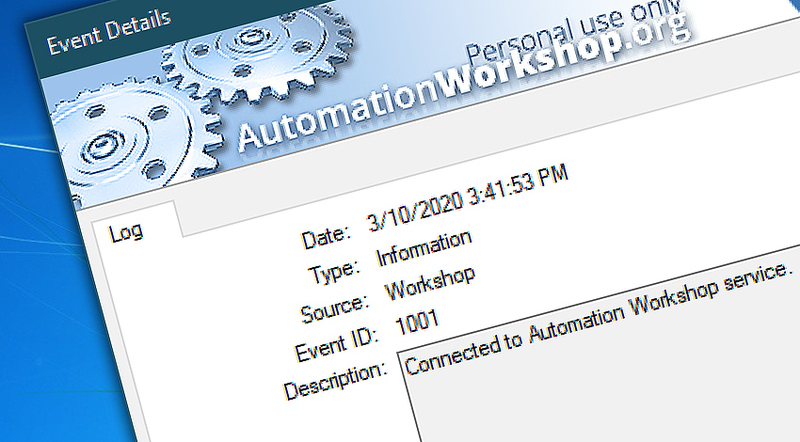 Automation Workshop logs its performance in Error Events, Warning Events and Information Events. Event Details allows to quickly and easily analyze Automation Workshop individual events, see their type, source, ID and description. See event type, source and ID. Click through recent events to see their details. Find event information in online knowledge base.